Selection 2008: Is One of These Latin Americans the Next Apostle? With Elder Uchtdorf’s calling into the First Presidency yesterday, a vacancy has been created in the Quorum of the Twelve. Will this opportunity bring us the first Latin American Apostle? In this day when a majority of the Church’s members are located outside the United States, one cannot help observing that the Apostles seem to have been called from a small handful of zip codes within the Western United States (with Elder Uchtdorf being a recent exception). Some may see that coincidence as God’s hand in placing his “great and noble spirits” in the same geographic vicinity at birth, knowing beforehand the work they would be called to do. Others may see it as evidence of man’s involvement in deciding whom to call to the Apostleship, demonstrating the natural human preference to associate with people like ourselves. Others still may see it as a simple reflection of the Church’s historic geographic concentration in the Mountain West–which has expanded globally only within the past few decades–and patiently await the day when Church leaders from outside the United States are able to gain sufficient leadership experience to hold the office of Apostle. All of these explanations may be correct to a certain extent. As President Hinckley once stated: “I am convinced that there are literally hundreds of brethren worthy and capable to serve as general officers of the Church. We see them everywhere.” (Ensign, May 2005.) President Hinckley’s statement has interesting implications for the question of whether a Latin American will be called to replace Elder Uchtdorf in the Quorum of the Twelve. The acknowledgment that there are “literally hundreds of brethren worthy and capable to serve,” and that they are found “everywhere,” suggests that we should not misinterpret the absence of Latin Americans in the Quorum of the Twelve as an indication that they are regarded as being any “less worthy” or “less capable” than their North American counterparts. On the other hand, this statement seems to acknowledge that Church leaders have a certain degree of “divinely-invested discretion” to exercise their best judgment in selecting one of many qualified candidates for the Apostleship. If that is the case, the question might well be asked: If there are Latin Americans among the many qualified candidates, and Church leaders have the discretion to choose one, then why not choose one now? Latin America has long been receptive to the Church’s message. Mexico is home to over a million Church members and was the first country outside the United States to have 100 stakes. Brazil has nearly a million Church members as well, and also has 100 stakes. Another million members are in Argentina and Chile. But although more than one-quarter of the Church’s members are located in Latin America, there are no Latin Americans serving in the First Presidency or Quorum of the Twelve. The Church’s presiding authorities are surely sensitive to these considerations, and will probably be even more so now that Elder Uchtdorf is in the First Presidency. Moreover, the Church leadership in Latin America has had sufficient time to mature, as evidenced by the calling of two Latin Americans to the Presidency of the Seventy last year: Elders Claudio R.M. Costa and Walter F. González. Let’s take a quick look at these two highly-qualified individuals who could very well be receiving consideration to become the first Latin American Apostle. Elder Claudio Roberto Mendes Costa was born in Santos, Brazil on March 25, 1949. He studied marketing in São Paulo as a young man and later served for 13 years in various positions in the Church Educational System. At the time of his calling as a General Authority, he was the director of the Church’s institute of religion in São Paulo. Before being called as a Seventy, he served the Church as an institute and seminary teacher, bishop’s counselor, bishop, high councilor, stake president’s counselor, mission president, and regional representative. Elder Costa is currently serving as a member of the Presidency of the Seventy. He and Elder Quentin L. Cook (now an Apostle) were both called to that position in August of 2007. 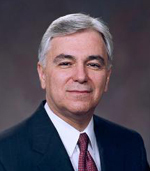 Elder Costa previously served in the Second Quorum of the Seventy for seven years from 1994 to 2001. He was sustained as a member of the First Quorum of the Seventy in 2001 and served in that capacity for six years. As a Seventy, Elder Costa has served as president of the South America North Area, president of the Brazil North Area, and as a counselor in the Brazil and South America South Area presidencies. Elder Costa speaks English in addition to his native Portuguese, and has spoken in General Conference three times. Elder Walter F. González was born in Montevideo, Uruguay on November 18, 1952, and joined the Church at 18 years of age. 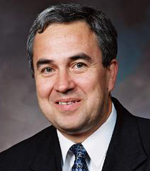 Elder González studied at Universidad de la República in Uruguay and Universidad de la Fraternidad in Argentina, and obtained a bachelor’s degree from Indiana University at Bloomington. Elder González replaced Elder Quentin L. Cook in the Presidency of the Seventy when Elder Cook was called as an Apostle in October of 2007. Elder González previously served as President of the Brazil North and South America West Areas and as a counselor in the South America North and Brazil North Area Presidencies. He also served as an Area Seventy in the South America North Area, a mission president in Ecuador, a stake president in Uruguay, and an area public affairs director in the South America North Area. In addition, he previously worked with the Church Educational System, including as area director for the South America North Area. Elder González speaks English as well has his native Spanish, and has spoken in General Conference twice. As someone who served a Spanish-speaking mission and developed a love for our Latin American brothers and sisters, I long for the day when a Latin American will be called to the Quorum of the Twelve. With the demographics of Church membership being what they are, it is not a question of “if” but “when” that will occur. The recent calling of the German-born Elder Uchtdorf to the Apostleship and now the First Presidency signals that the American monopoly over the Church’s highest offices a thing of the past. Although I believe God is “no respecter of persons” and probably does not place much importance on a person’s nationality, at the same time, He must surely know how much it would mean to the Latin American Saints to see one of their own called into the Quorum of the Twelve. For that reason alone, I cannot help hoping that of the “literally hundreds of brethren worthy and capable to serve,” it will be a Latin American who is chosen this time. This entry was posted on February 5, 2008 at 9:27 am	and is filed under Church News, Mormon Culture. Tagged: Mormon, Mormon Culture. You can follow any responses to this entry through the RSS 2.0 feed. You can leave a response, or trackback from your own site. I could not agree with you more. I served in Guatemala many moons ago, and have long thought that our leadership should better reflect our diverse membership. I have to admit that I felt a swell of pride yesterday when I saw that Elder Uchtdorf had been put in the First Presidency. It feels like a palpable step in the right direction. Both of these GAs speak English, which likely increases their stock as candidates for Apostleship. The next logical question is when, if ever, will we hear Conference talks in another langauge? Likewise, I hope the Lord will chose an Apostle from another culture. In addition, I have the feeling members are putting a little too much emphasis on the church and church leaders. We should sustain our leaders at all levels, but sometimes I feel we elevate them as well. I think this is what Elder Packer was saying last conference. We come unto Christ and He employeth no servant there (2 Nephi 9:41), is our doctrine. No one stands between us and the Lord. We all have access to Him for He is no respecter of persons. The church and all that it represents is essential, but our task is to fulfill our baptism covenant and receive the Holy Ghost. This isn’t done, at least for the most part, at church. Receiving the Holy Ghost, in my experience, is accomplished in prayer and repentance. If the church became unavailable for some reason, individuals and families would be able utilize prayer and be well off, if prayer were unavailable for some reason we would be in trouble before one day had past. People hear conference talks in Non English languages every conference.